If you’ve ever wondered what JetBlue might have looked like had David Neeleman not been forced out in 2008, you can just look south. When Neeleman was fired from JetBlue, he went and founded Azul in his other home country of Brazil. (He was born there.) Azul has been growing like crazy, and now it is planning on buying widebodies to fly to the US. Talk about massive growth. The parallels between JetBlue and Azul are striking. Even the names are basically the same (Azul means blue in Portuguese.) Neeleman found an underused airport outside of the largest city and made that the starting point. In the US, JFK wasn’t much of a domestic hub back in the 1990s, so Neeleman snagged slots and built it up. In Brazil, Viracopos-Campinas was the former international airport for Sao Paulo, 60 miles northwest of town. When Guarulhos opened, Viracopos faded, but it’s in a rich area. The catchment is strong, and Neeleman saw opportunity. Both JetBlue and Azul focused on building strong cultures with superior onboard products. Both offered Live TV onboard and both flew the Embraer 190 airplane (though JetBlue started with the larger A320). And both grew fast, one of David Neeleman’s signatures. That’s what was happening at JetBlue until the airline’s operation melted down in a snowstorm in February 2007. The Board of Directors reacted quickly, and Neeleman got the boot. When I spoke with him back in 2010, he was still bitter. But as JetBlue slowed its growth, Neeleman headed south to Brazil and has had the accelerator on the floor since the airline launched in 2008. Azul grew quickly into different areas. It ordered ATR 42 turboprops to fly to small cities, and then Azul grew further when it bought TRIP, a regional airline in Brazil. This quickly brought Azul into smaller airports using turboprop aircraft, and it gave Azul more than 15 percent of the total Brazilian market, still well behind Gol and TAM. To get a sense of how incredible the growth has been, how many cities do you think Azul serves in Brazil? It’s more than 100. That’s well above JetBlue’s destination count. I challenge you to even name 50 airports in Brazil. And unlike the mature US market, Brazil is underdeveloped and has been growing quickly. Or I should say HAD been growing quickly. There has been a big economic slowdown and demand has teetered. But over time, Brazil will continue to grow, and Azul is ready. In fact, Azul isn’t waiting. It’s leasing 5 A330-200s starting next year and then A350s will come in 2017. The airplanes are going to be used to fly from Brazil to Florida and New York. Is this going to work? It might, depending upon the routes we see, but as always I’m pretty skeptical. On the positive side for the airline, service between the US and Brazil is restricted due to silly bilateral rules limiting operations. [Correction: Late next year open skies goes into effect, but that won’t make access into Sao Paulo easier due to facility constraints.] It took US Airways years to even get one flight into Sao Paulo. But Sao Paulo fares aren’t that insanely high especially in coach. Even up front, they aren’t that lofty when you consider low fare connecting options on Aerolineas Argentinas, Copa, and Avianca. So where’s the opportunity? For travel from Brazil to the rest of the world, it’s still very common for all roads to connect through Sao Paulo or, to a lesser extent, Rio. If you live in the north of the country, it’s normal to fly south for a couple hours before then heading back north. Sure there are some limited options from places like Recife and Salvador to the US, but they are very limited. If Azul can start getting people from these airports to the big cities in the US (Florida and New York make perfect sense), then it could open up the market tremendously. But I have to wonder if it can even fill an A330 on a route like that. More likely is that we’ll see the airline start down at Viracopos, near Sao Paulo. I’m just not sure about that one. Then again, I wouldn’t be the first person to doubt Neeleman. We don’t really know all the details yet, so we’ll have to wait and see. But it’s clear that Azul is moving fast and is not interested in putting the brakes on growth. Whether that’s a good idea or not will be best analyzed in the future. That’s what Rob Maruster told a large group at an orientation session a couple months ago, presumably at many other orientation sessions as well. Maruster is now well gone, asked to leave the building. Robin Hayes is of the same opinion, but a much more cautious mindset. The severe pragmatist, Barger, is still onboard but it appears assured that he’ll be pushed before he can bow out at the end of his contract (as he’s hinted he will do). Soooo… jetBlue widebodies are as unsure as the management future. If I were to take a guess? Barger goes, the FAs unionize and the VP Inflight goes, Hayes becomes CEO, Marty St. George becomes President (COO roles shared between Pres and EVP Customer Experience), and within a few years, they order a couple A333s as testers, maybe 2018+ for rollout (Core A321s, limited Mint rollout, etc. being the priority, then expanding Mint to more routes, before any widebody service). The parallels are interesting; not surprising given the same founder. I think that JetBlue does have int’l opportunities beyond Latin America and the Carribean, especially in Boston. The domestic carriers are largely ignoring Boston (save for Delta with flights to London, AMS and CDG). There are definitely opportunities for flights to Asia (see Hainan, JAL) and Europe and the ME that are being filled by non-US carriers. Starting up international ops is no small endeavor however. JetBlue will have to think long and hard about whether they want to go that route. You touched on the bilateral rules limiting flights between the US and Brazil. What effect is that going to have on Azul obtaining the necessary route authorities? Ben – I don’t know specifics but I doubt it would be an issue. Anyway, as Mateo corrected below, open skies will take effect next year anyway. I’d be interested to see if Azul runs their international options from the, hopefully, soon to be completed and operational Greater Natal International Airport. Located in the Northeast of Brazil, they’re hoping to operate it as something like a South American Schipol with a focus on transfer passengers rather than traffic to Natal. 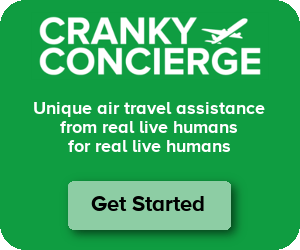 It’s in a location that easily cuts off 4-5 hours on flights from the states or from Europe and it won’t have the slot restrictions or curfews that GRU and GIG have. Well if the government of Brazil likes Azul they could step in and open more flights to the U.S. to permit Azul to start service. Isn’t the current agreement only a way to keep American carriers from getting to much service to Brazil that their own carriers couldn’t keep pace with in the past? The US-Brazil Open Skies bilateral was signed a couple of years ago and will be fully phased-in by the beginning of next year. Typical facility constraints apply. Mateo – Thanks for the clarification. I’ve updated the post. It looks like it’s supposed to be October 2015. Of course, this won’t change the situation in Sao Paulo, so Azul would still be somewhat insulated from additional competition in the Sao Paulo area… unless others decided to starts Viracopos and that would be surprising. Also while all the US carriers are using their Brazil frequencies/rights, the Brazilian carriers Gold and TAM are not using their full allocation. If Azul wanted, they could start before the 2015 deadline. Any chance they will fly to Boston? There are tons of Brazilian-Americans in eastern MA. If David and David can bury the hatchet, and this becomes a ‘2 Blue’ venture, then I see this as a home run for both parties. If diplomatic relations between LI City and Barueri remain frosty and Azul does something off the wall (like go at it alone or rely on Silver and/or NK for feed) then my bet for success is less than 50-50. I do not think we will ever see B6 jump across the Pond to Europe. They are doing just fine partnering with Euro and ME carriers in BOS/JFK/MCO/ (a dying) IAD. TATL is a mature and highly competitive market that would require a large capital investment with negligible returns. Eric – I’d personally be surprised if Dave is even still around at JetBlue by the time this service launches. With his contract ending soon, I wouldn’t be shocked at all if he left. That might make it easier to bury the hatchet between the two. There is already a rumor that Azul has approached Jetblue to have them be the domestic feeder for Azul at JFK, MCO and FLL. Time will tell. Yeah, I was wondering if Azul would join Jetblue in T5i. It seems perfect in many ways. Any thoughts on how United adding Azul as a Brazilian partner (effective 1, April 2014) will affect their respective strategies? Rob – I don’t think this would have much of an impact. I think that’s just a frequent flier pact, one that United needed with TAM’s defection to oneworld. Loosing TAM to OW hurts allot, so bringing both Azul and Avianca Brazil helps plug the *SA dam in the near term. The Azul relationship is pretty loose (like B6 & AA was), so walking away would nut be a huge blow to UA,Azul or STAR. Forgive the dumb question, but I don’t know a whole lot about Brazil or the aviation market there. You mentioned that Viracopos is approximately 60 miles northwest of Sao Paulo. Isn’t that rather far away from the city center to make things work, especially for business travelers? Assuming flights to the U.S. are based out of there, would there really be a substantial market for flights to an airport that is, what, a 2+ hour drive from Sao Paulo itself? Or is the idea to cater to the el cheapo traveler who’s willing to exchange a little inconvenience for a lower fare? Seems like a somewhat questionable strategy to me, but like I said, I don’t profess to know much about the Brazil-U.S. market. MeanMeosh – So I’m not a Brazil expert either, but my understanding is that the area near Viracopos is a really rich suburban area. So while it’s not a good alternative for those wanting to go into Sao Paulo, there is a wealthy base of travelers that would prefer that airport locally in Brazil. Anyone want to correct me on that? I live in Campinas, the city Viracopos is in (which is pretty big by itself, with 1,5mil inhabitants). Most locals and people from the rest of the state (which is the name of the state itself, not just the city) would rather come to Campinas than São Paulo for the airport. Horrible traffic to get there, catastrophic public transport and sheer volume of passengers (and the delays, dear god) make Guarulhos a nightmare. I’m very excited for the international flights leaving VCP. I’m a frequent flier and have become a big Azul fan – I fly with nobody else these days. CF I think you are glossing over the situation JetBlue was facing when they kicked out David Needleman, one snowstorm didn´t cause his departure. Jetblue was in serious financial condition. His explosive growth plan along with his crushing jet order from Airbus were almost the death of JetBlue. They had to take to him out or risk sinking the whole ship. When are they gonna make the visa fee something not outrageous, for US citizens going to Brazil and Brazilians going to US? No, JetBlue rocks. In a recent trip to the USA, our Buffalo to Fort Lauderdale segment on JetBlue was the best flight (friendly, comfortable, on-time ) we had on our 11 flight itinerary, and it was very reasonably priced. Yah, Jetblue is great to fly on but get any of their pilots or fa’s alone and they’ll tell you how badly the company treats them. This is why the pilots finally voted in a union and is why the fa’s will also vote on in. Jetblue is a great company to fly on because the people who have chosen to stay(many have already left for other airlines where the are treated less like servants) still believe in what the company stood for in the beginning. Safety. Fun. Caring. Integrity. Passion. They are the ones who make it fun to be included into the family of Jetblue, a family that the higher ups are slowly disintegrating with unfair firings, lies and hiring people who do not know how to supervise and who show no caring value whatsoever let alone integrity. If the company doesn’t get their act together, they are surely to become just another airline that people hate. Usually narrowbody operators and LCC’s like Azul struggle when they attempt to jump to widebodies. Granted the volume on Brazil-MIA/NYC is clearly there and this won’t be a drag on domestic Brazil ops. But basically any demand from Recife/Manaus etc to the US is mostly being handled by AA/Copa/Spirit/Avianca via their hubs, with token presence by B6, DL, UA. So Azul can’t expect to win over all that.